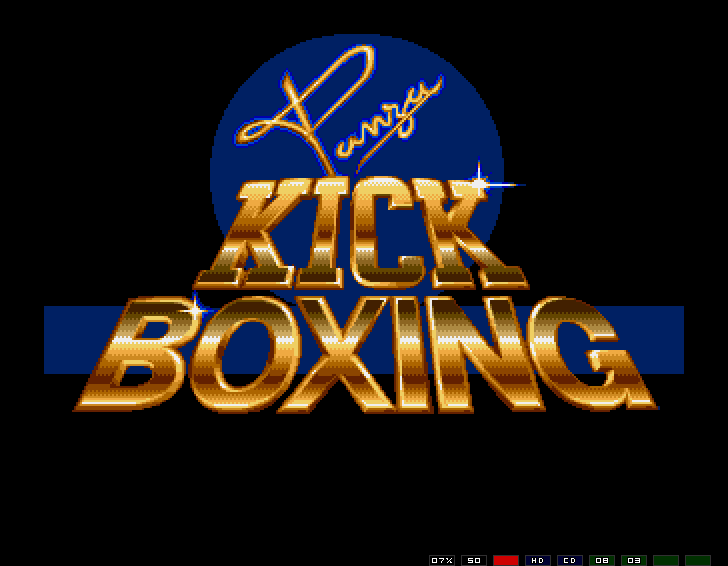 Panza Kick Boxing - the best fighting game ever? 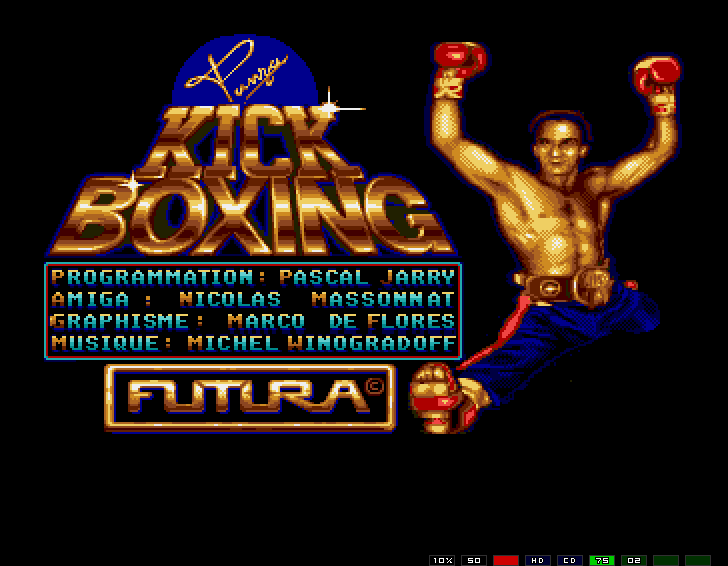 Probably the best fighting game for Amiga. 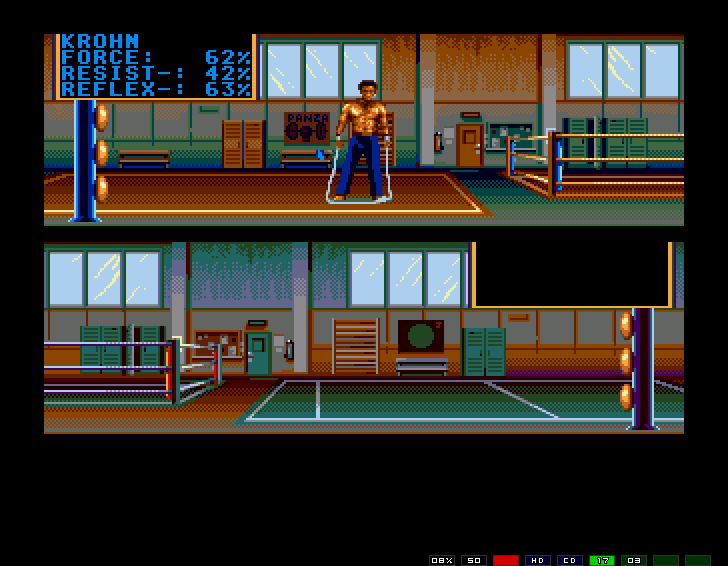 The game is like the name says, about kick boxing. Fights are between 2 opponents, you and a friend, or you against the computer. 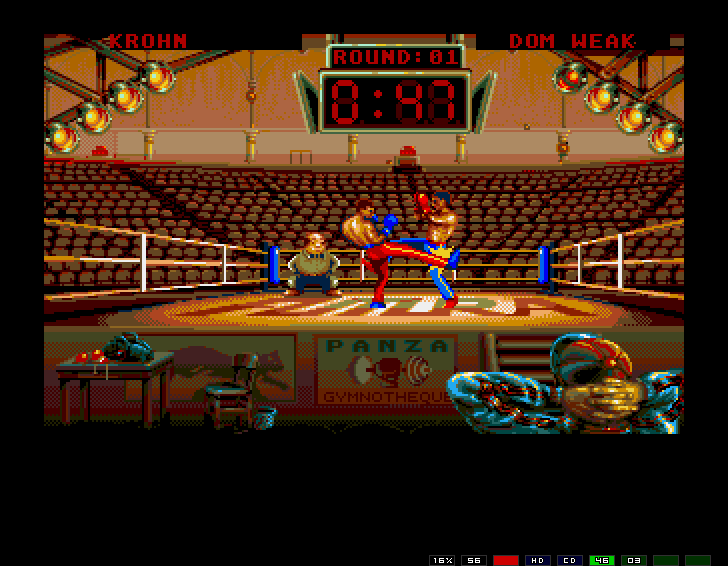 The game view is "side view" as the camera is filming from one side of the ring. Players can go left or right, but the camera doesn't move. The players energy is represented by four spot lights at the top of the screen. You start with them all lit, and during the fight they will start to go out one by one. The player who ends with no light looses. The combat system is very complex. 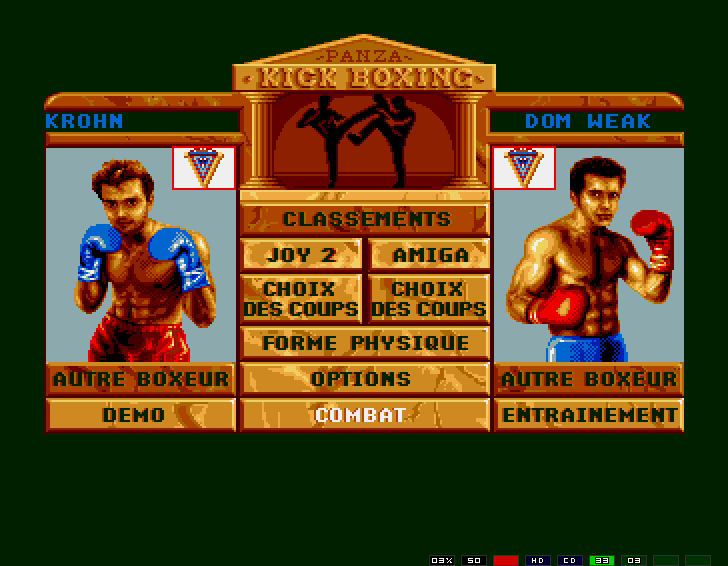 You use the joystick and can configure it from 55 possible movements. It could take same time doing this, but is very useful to fight the top opponents. 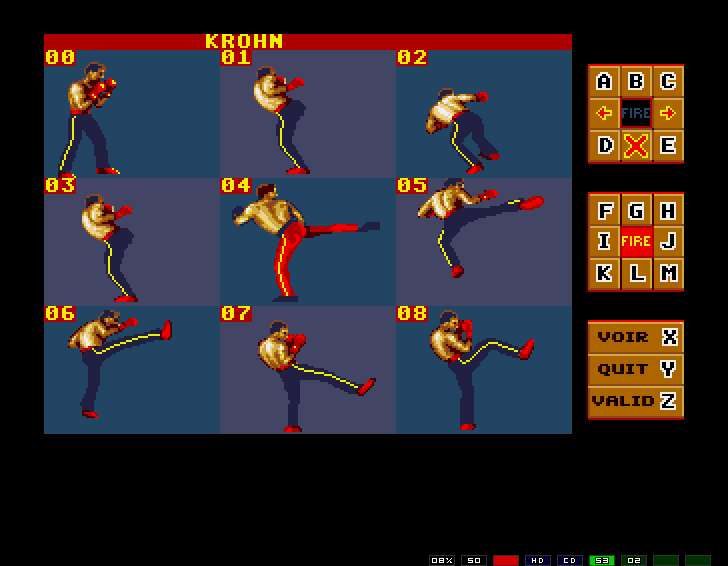 Many of the moves are quite similar, but:- some movements will make different damage in the other player- some movements will be faster to execute- some movements will reach a bigger distance. 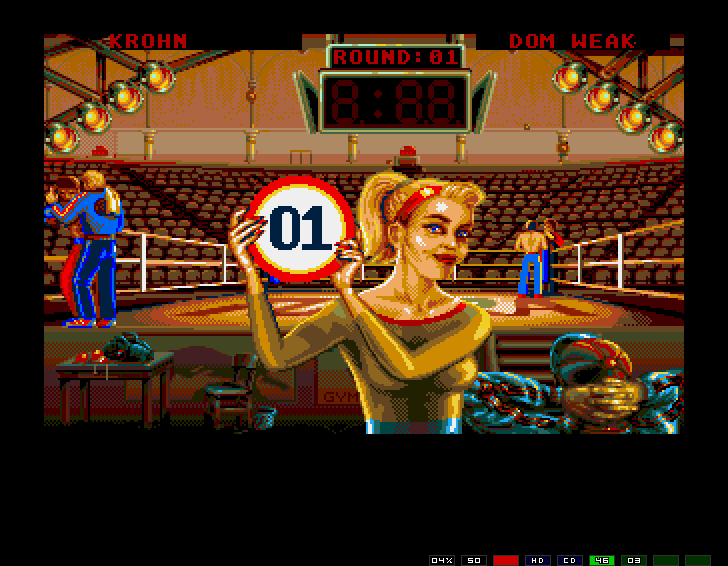 The action is not fast or slow, it simulates very well a real fight speed. It gives you a little time to adjust defence and attack movements. The game's graphics and animation movements are very good, but the sound could be better.If you like combat games, in my opinion this is the best combat game ever, on any platform.